You don’t know where to stow your model color bottles, knives, saws and paint brushes? Of course in our practical MINI bag. 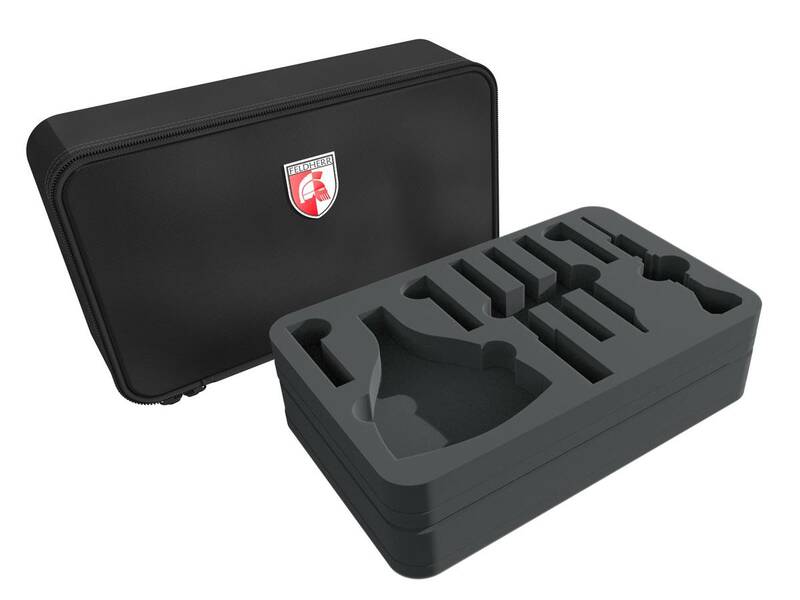 The bag is filled with two custom foam trays – one for essential Citadel tools, the other for color bottles and paint brushes. 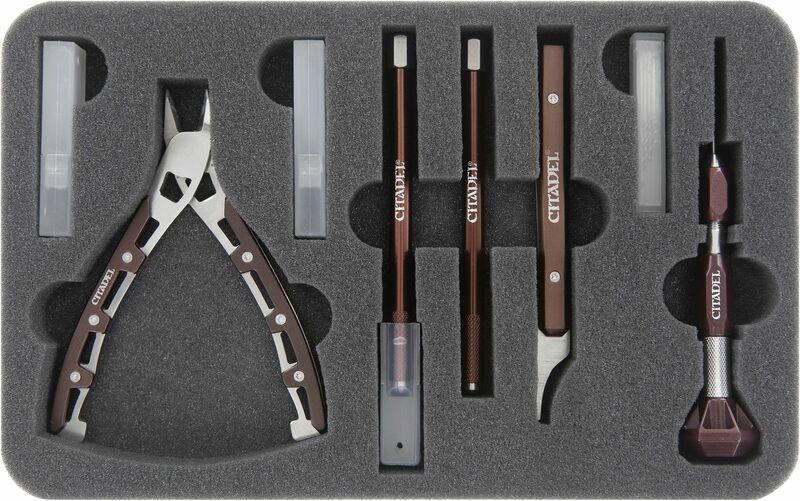 In addition, the tray features a compartment for the boxes with the spare knife blades, the saw blades and the drill bits. 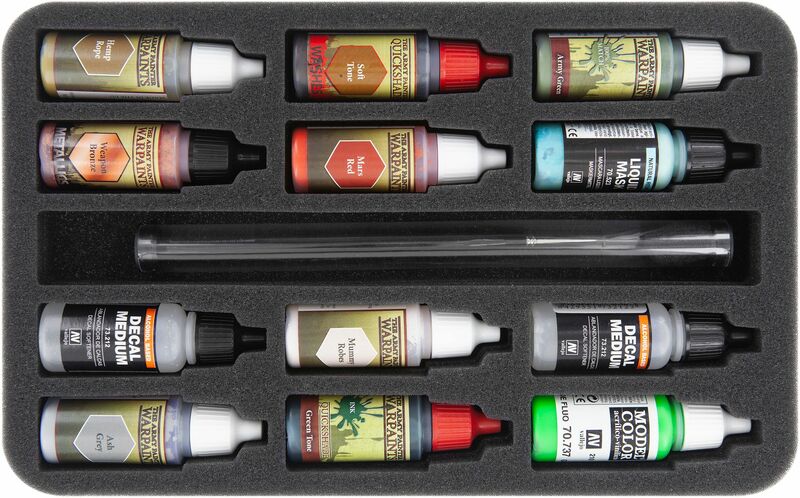 The tray for the model color bottles has 13 compartments – 12 are custom cut for Army Painter or Standard Vallejo bottles, 1 long compartment will hold several paint brushes (e. g. up to 4 Windsor & Newton in tubes). 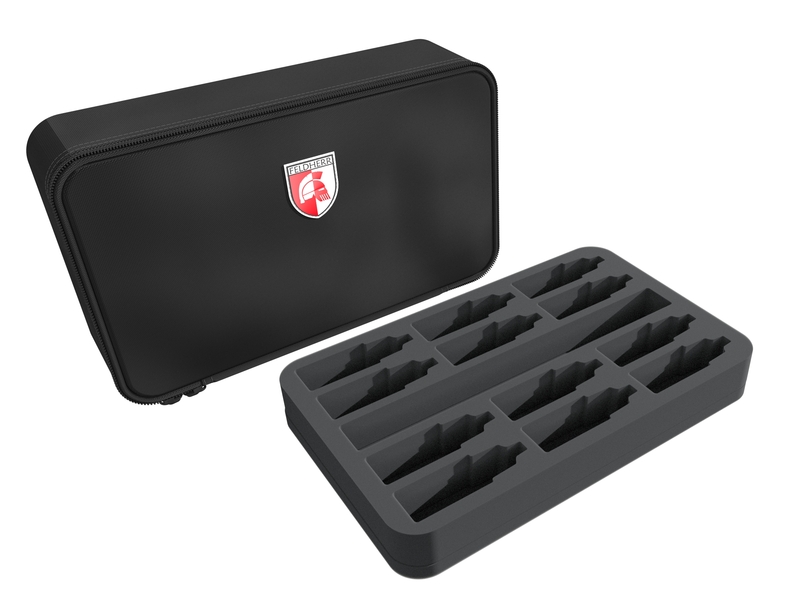 Of course, the stackable trays fit exactly into the MINI bag. The bag is made of very durable fabric and ensures that your painting- and modeling utensils are optimally protected from external influences. A matching foam topper completes the set and ensures that nothing can fall out of the uppermost tray.